Wicca was founded in 1951 by Gerald Gardner in the New Forest area of England. It is a religion focused on the cycles of nature, the duality of a masculine God and feminine Goddess, and the sacredness of the world around us. Wiccan follow the Wiccan Rede and the Law of Threefold Return as their code of ethics. As the Wiccan religion grew and transplanted itself onto the shores of America, the core beliefs remained very similar, but the actual practices grew and expanded. Today, there are quite literally hundreds of traditions within the Wiccan religion, some focused strongly on the original beliefs from Britain and other that have changed to incorporate local deities and energies as well as the spirit of political activism as an expression of our responsibility towards the sacredness of the Earth. 2. Who is the Goddess in the Wiccan Religion? The Goddess or The Lady is the embodiment of the feminine principle or energy that Wiccans call on during their rituals. 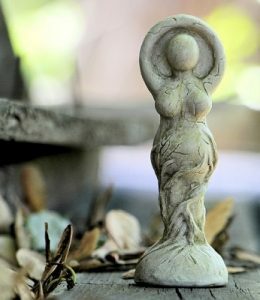 Some groups prefer to work with a more concrete concept of what Goddess is and choose those Goddesses that they are closest to for their ritual workings. Cerridwen, Brigid, and Diana are currently popular among many Wiccan groups as their representations of the Goddess. 3. Who is the God in the Wiccan Religion? The God or The Lord is the embodiment of the masculine principle or energy that Wiccans call on during their rituals. Some groups prefer to work with a more concrete concept of what God is and choose those Gods that they are closest to for their ritual workings. Herne and Cernunnos are both very popular among many Wiccan groups. 4. Can I use just one or the other and not both? There appears to be slightly more emphasis placed on the Goddess in some Wiccan groups. Commonly, the Lord and Lady are called together during rituals to embody the idea of energy created by the polarity of masculine and feminine. While many groups choose to use both, there are certainly groups that use only one or the other. 5. Why is duality in Wicca so important? The idea of duality illustrates that there are polarities in the world that can spontaneously create energy. When you press the positive and the negative sides of a magnet together, they fairly snap together with an audible click. That is the attractive power of duality. Similarly, when you press two magnets positive or negative ends together, they try to push away from each other. Again, energy is created. That energy is what Wiccans use to power their rituals and spells. While it is not the only form of energy recognised in the Wiccan religion, it is an important one. 6. 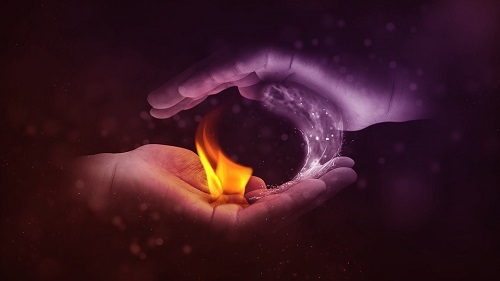 Why are the elements in the Wiccan religion important? The Elements in the Wiccan religion represent the powers of the four cardinal points of the ritual circle. They embody ideas such as creativity and inspiration (Air), stability and foundations (Earth), passion and energy (Fire), and sharing and interactions with others (Water). When all of these are represented in the ritual circle, it is considered to be representative of a smaller version of the Universe. Since we created this mini-universe, we can control it and use it to produce outcomes for our rituals and spells. Each Element has its own particular characteristics and energies that can help us when we call on them. 7. Why do people use different arrangements of the elements if they’re so important? Different traditions teach elemental correspondences in a variety of ways. This represents the cosmology (the beliefs about the universe) that each group beliefs. Depending on what their mythology and cosmology are, they may place the elements in a variety of different places around the ritual circle. 8. What is British Traditional Wicca? British Traditional Wicca are the traditions within the Wiccan religion that can trace themselves back to Gerald Gardner and one of his Priestesses. Some examples of British Traditional Wiccan groups are Gardnerian Wicca, Alexandrian Wicca, Mohsian Wicca, Blue Star Wicca, the Starkindler Tradition, Georgian Wicca, and several other groups. Most of these traditions are oriented toward group/coven practice and are initiatory traditions. To be a member, you must be accepted into a coven and initiated into the tradition. 9. What is Eclectic Wicca? Groups that call themselves Eclectic Wicca have some of the same core beliefs as British Traditional Wicca but cannot trace themselves back to the founders of Wicca. 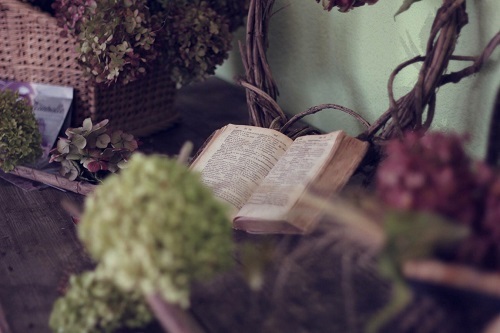 They also tend to incorporate material into their Book of Shadows that they find useful in a careful manner, making certain that it fits in with their particular cosmology. They may also be group or coven oriented or solitaries. As such, there is not always a lineage associated with these groups. They also are somewhat more open when sharing material than are British Traditional Wiccans. 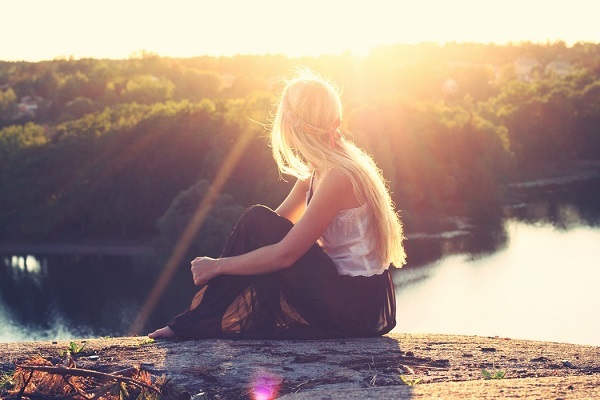 Neo-Wiccans tend to be solitary in nature. They will sometimes incorporate the same concepts as British Traditional Wicca and Eclectic Wicca, however their practices are somewhat more scattered. They are more likely to encounter material that they wish to add to their Book of Shadows regardless of its fit with previous material. 11. Do I have to buy all the tools and books? No. While Wiccan tools can be good to have when you are learning to perform the rituals and spells, they are not required. The power that they direct resides in you, not the tools themselves. Similarly, books are very important for researching and learning the concepts and techniques, however you don’t need to have an extensive library to be a Wiccan. Libraries are good resources for obtaining material for you as are used book stores where books are often much cheaper than in a regular bookstore. 12. What is the Wiccan Rede? There is a great deal of argument over what the Wiccan Rede actually means. In popular literature, the Wiccan Rede is generally paraphrased as “Harm None” but I think that this does a disservice to the Rede itself. The more traditional interpretation of the Rede is along the lines of “if an action does not harm anyone or anything, it is ok to perform the action.” It doesn’t really speak to what is or is not allowed. That is something that the practitioner must evaluate. A good guideline to follow is figuring out if you believe you will be able to handle the consequences and responsibilities of your actions. 13. What is the Law of Threefold Return? The Law of Threefold Return states “What you send out from yourself will return to you times three. Bad for bad, good for good.” Essentially, this is the more common idea of cause and effect stated a bit more poetically. If you lie about someone, someone will most likely pass on information about your character to others. 14. Does the Rede and the Law of Three or Karma apply to everyone? No. Not all pagan religions use the same type of ethical statements as Wicca. Their morals and ethics may be very different from those that Wiccans practice. This doesn’t make them “bad pagans.” It simply means that they have their own beliefs that should be respected. After all, would you like to be told that you were wrong? That the Wiccan Rede wasn’t true and true ethics is espoused as the Golden Rule or the Nine Noble Virtues? 15. What are the phases of the moon and how do they affect Wicca? The Wiccan religion recognizes four phases of the moon as a general rule: Waxing, Full, Waning, and Dark/New. The Dark/New moon is sometimes kept slightly apart from the other three, as the Goddess is often related to the first three phases as Maiden/Waxing, Mother/Full, and Crone/Waning. 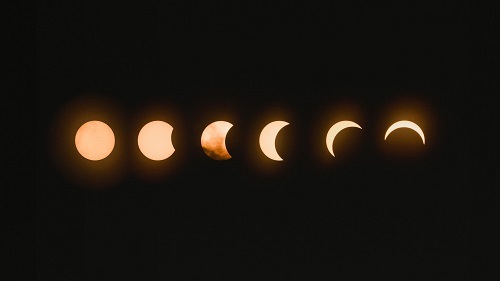 The phases of the moon are often considered in the timing of when to perform a ritual or spell and are usually considered as a visible reminder of the changing face of the Goddess. Esbats are the full moon rituals that Wiccans hold on a monthly basis. There are 13 Esbats in a lunar year. 17. What are the Wiccan holidays? There are two sets of holidays that Wiccans follow that create the Wheel of the Year. The four Greater Sabbats are Imbolc (usually celebrated February 2 or 15 degrees Aquarius), Beltaine (May 1 or 15 degrees Taurus), Lughnassadh (August 1 or 15 degrees Leo), and Samhain (October 31 or 15 degrees Scorpio). The four Lesser Sabbats are Yule (Winter Solstice), Ostara (Vernal/Spring Equinox), Litha (Summer Solstice), and Mabon (Autumnal Equinox). Each individual coven or group will add holidays as they see fit to create their ritual year. Sabbats mark the quarter days (the solstices and equinoxes) and the cross-quarter days of the seasonal cycles. Usually the holidays are held on specific days of the year, rather than on lunar full moons. Some Wiccans consider the Esbats to be feminine/lunar in nature and the Sabbats to be masculine/solar in nature. 19. Is Wicca a religion that’s carved in stone? As a whole, the Wiccan religion is welcoming to new ideas and innovations. There are traditions within Wicca that limit what kinds of innovations will be added into their Book of Shadows, but even these traditions do not remain static over time. As new people enter and old people leave the groups, changes occur that drive the adaptation of rituals and spells. 20. Is Wicca a religion that accepts anything and everything? No. Even in the most loosely formed groups, there are standards to be a part of the group, requirements for belonging, and particular rituals that are observed. Even if the framework of Wicca is only the barest skeleton, there are still rules that need to be observed and followed. These rules vary from group to group, however. 21. What is a Book of Shadows? The Book of Shadows is a book of rituals, spells, and mythology that is highly personal to an individual line of Wiccans or an individual. Traditionally, Wiccans only allowed their own initiates to copy from their Book of Shadows. In the British Traditions, this is still the case. 22. Do I have to have a Book of Shadows? While it is not required, a Book of Shadows or a Journal can be greatly useful to an individual Wiccan. In it, they can enter their thoughts, record the results of their rituals and spells, and begin to keep a historical record of their practices. ***Looking for authentic spell supplies or beautiful altar tools? Check out our Wiccan shop for a treasure trove of magickal goods! Would you like to start casting spells that work? The Essence of Magick explains the driving forces behind magick, and teaches you how to focus your mind and cast spells in order to manifest your dreams.